It looks like Nikon's not the only one launching a full-frame mirrorless camera. Rumors are growing that we'll see a Canon full-frame mirrorless camera very soon as well. In fact, it's likely that we'll see not one, but two new Canon full-frame mirrorless cameras according to CanonRumors. 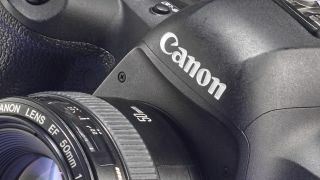 The first is likely to be a new flagship model to sit at the top of the new Canon full-frame mirrorless range of cameras, with a second model featuring a lower resolution launched a little later. Canon has done a good job of keeping details of its new mirrorless camera under wraps so far. What we do know is that a new Canon camera, thought to be the full-frame mirrorless model, is currently being tested in the field by a select group of professional photographers. Canon is keen to get its first full-frame mirrorless camera 'right' from the start, especially as Sony is on a bit of a roll at the moment with both the Alpha A9 and Alpha A7R III. Nikon launched its new Z system on August 23 with two models, the Z6 and flagship Z7. Let's take a look a look at everything we know so far about the new Canon full-frame mirrorless cameras. CanonRumors' sources are saying the new camera (we're guessing the high-end flagship model) will be on sale by the end of 2018, although it's not clear when we'll see an announcement. With Photokina, the photography industry industry's biggest event of the year, taking place in September, it's possible we could see an announcement in time for then or at the show itself, especially as Canon tends to announce its higher-end models in the second half of the year. Failing that, it's likely we could at the very least see a development announcement at Photokina, with the camera then breaking cover in the early part of 2019. Especially if Nikon's releasing its own full-frame mirrorless camera on August 23, Canon won't want to be left out. Timings could also be a bit vague as Canon is waiting to see what Nikon launches before committing with its own launch. CanonRumors is also reporting that the flagship model could feature a 30.4MP full-frame sensor. If that's the case, we can expect similar image quality to the 30.4MP EOS 5D Mark IV, though it's likely that the sensor design will be different. A leaked spec sheet also reveals that the new sensor is set to have an anti-aliasing filter in front of it, which may divide opinion. The sensors inside many modern interchangeable-lens cameras are not fitted with these as manufacturers tend to prioritise the extra detail that can be gained without them over the potential for aliasing artefacts that these are designed to prevent. If we do get a 30MP sensor, it would potentially be on the back-foot compared to the 42.2MP Sony Alpha A7R III and the 45MP sensor resolution of Nikon's Z7 model (though, it would be slightly higher than the company's Z6). The second camera will have a likely pixel count of around 24MP and not the EOS 6D Mark II’s 26.2MP sensor. The big question at the moment is what lens mount Canon will opt for. Will it use its very well established EF mount, making the transition easy for existing photographers, or take engineer a completely new lens mount, just as Nikon has decided to do? The downside of the latter option is that it would have to develop a new range of lenses to accompany the camera. There's not definitive answer at the moment, but a leaked spec sheet suggests that the camera will employ a fresh RF lens mount. This would still accept Canon's family of EF and EF-S lenses, but it would not be compatible with the more modest collection of EF-M lenses designed for Canon's current EOS M mirrorless series. While Canon's DSLR range, with the exception of the EOS 5D Mark IV, has shunned 4K video capture, we'd be surprised is both cameras didn't shoot in 4K. As soon as we get anymore information regarding the two new Canon full-frame mirrorless cameras, we'll share it hear.